With hugely-successful shows like Game Of Thrones, True Detective, and Big Little Lies returning to our screens, there has never been a better time to get access to Sky Atlantic, as well as the supercharged broadband speeds necessary to power all that boxset binging on the horizon. Fortunately, Sky has slashed the price of its combined Sky Q and unlimited fibre broadband packages for this weekend only. The combined bundle costs £37 a month, which is a brilliant price for the sheer amount of content that you're getting access to with this package. 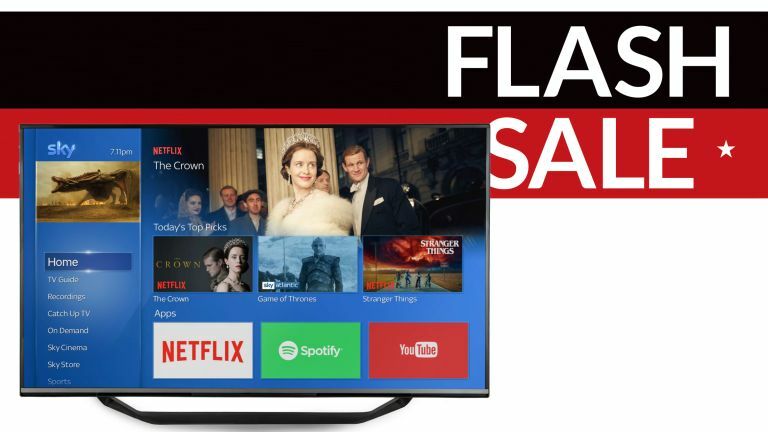 For that price, you'll get access to over 300 channels, including Sky Atlantic, Sky One, MTV, SyFy, Fox, National Geographic, Discovery, Comedy Central, Sony, and VICE, as well as an unlimited fibre broadband package with average download speeds of 36Mb. That fibre broadband connection means you'll be able to take full advantage of all of the on-demand functionality built-in to the Sky Q box, like BBC iPlayer and ITV Encore, as well as the Netflix integration with Sky Q, which rolled-out last year. Between the hundreds of channels included with the Entertainment bundle on the Sky Q box and the endless possibilities with a superfast, unlimited fibre connection – there should be more than enough here to keep you entertained over the cold winter evenings. Sky typically charges £25 a month for its Sky Q satellite system with its Entertainment bundle, and £38.99 a month for the Broadband Unlimited package. That's a total of £61.99 each month – or £26.99 more than what you'll pay with this latest deal. Over the course of the 18-month contract, you've set to save £449.82 compared to the typical price for Sky Q with Entertainment and Sky unlimited fibre broadband. For less than £40 a month, Sky is offering its fast fibre broadband with a vast array of TV entertainment, including exclusives like Sky Atlantic ahead of the return of the final season of Game Of Thrones. This is works out only a few quid more than Sky's standard ADSL and entertainment package, so it's a major saving.